If you invest a gross amount of money on a camera then you need is at least one storage system to leave you hanging. For a long time CompactFlash (CF) was the option, however, has lagged behind and it’s time to renew to the XQD Memory Cards. 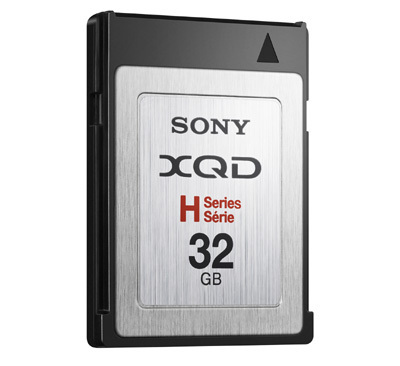 XQD Memory Cards is a new format was announced some months ago by Sony, Nikon and Sandisk, but until we know today XQD the first cards that hit the market. Sony will be the first to offer these models in 16 flavors and 32 GB from next month. Among the benefits are data transfer rates of up to 1Gbps/125MB/s write and read., capable of capturing 100 frames in RAW mode continuous shooting. One of the cameras that can take advantage of the format is the recently announced Nikon D4 . Prices will be $130 for 16GB model and $230 for the 32GB. Additionally, Sony will sell a compatible card reader (USB 3.0) and an ExpressCard adapter. Sony will sell you a USB card reader or ExpressCard adapter for $44.99. The new family of XQD Memory Cards by Sony will be available from end of January 2011.